Hi! 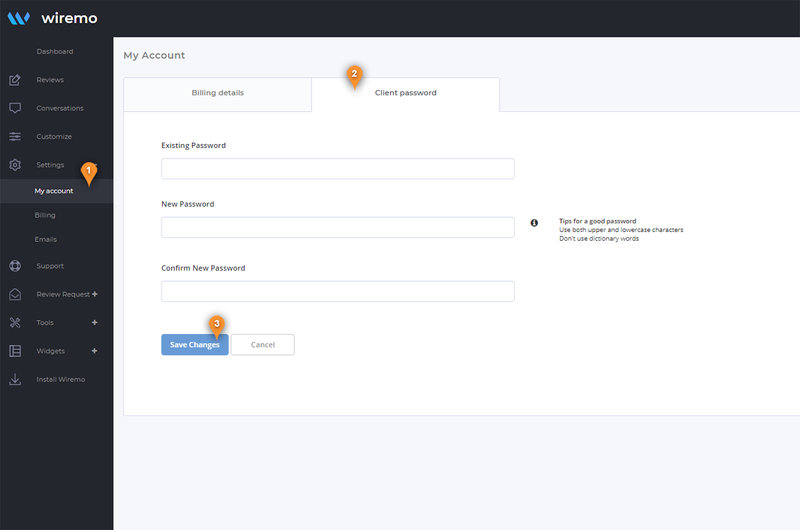 In this short tutorial, we will explain you how to change your password in Wiremo Dashboard. To change your account password, please login to Wiremo Dashboard, go to “Settings” and then click on “My account” (pin 1). Now, press on the "Client password" tab (pin 2). In this tab, you can change your password. Type the existing, then the new one and confirm it. Once you're done press “Save Changes” button (pin 3)!